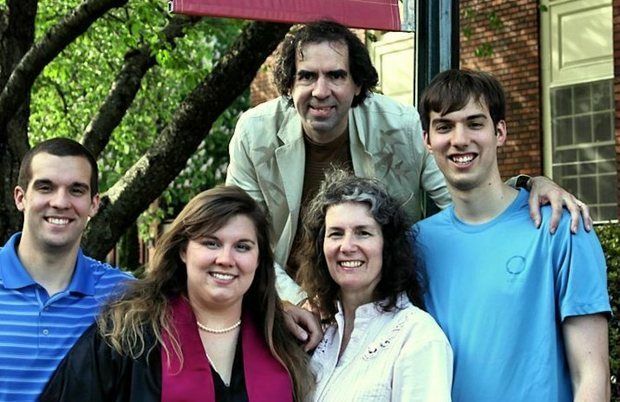 The family of City Commissioner Amanda Fritz celebrated the life of Dr. Steven Fritz at a public memorial service at Terry Schrunk Plaza downtown [the evening of September 28]. All are invited to attend the 5 p.m. ceremony. Steven Fritz died Wednesday morning in a collision on Interstate 5 on his way to work. He was a psychiatrist at Oregon State Hospital. In a press release about her husband’s death, Amanda Fritz wrote that she first learned about the crash from passersby — not police — who noticed her husband’s crumpled car along the side of the highway. 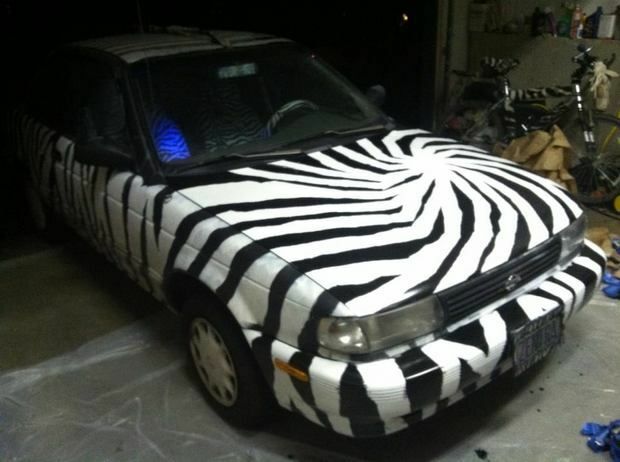 Steven Fritz drove a Nissan Sentra that he had painted with zebra stripes. Portland City Commissioner Amanda Fritz has announced plans for events to celebrate the life of her husband, Dr. Steven Fritz, who died suddenly in an automobile accident in Salem, OR on September 24, 2014, while on his way to work at Oregon State Hospital. 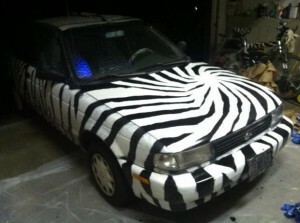 He was killed instantly by a pickup crossing the median on I-5 in wet weather, hitting his beloved zebra-painted car. He had often loaned it to his wife for community parades. Commissioner Fritz first heard about the crash because passers-by recognized the car and contacted her. Everyone is welcome to attend the public Celebration of Life on Sunday, September 28 at 5p.m. in Terry Schrunk Plaza, SW 3rd and Jefferson. Participants are encouraged to bring a candle, and to have fun dressing in whatever you feel is appropriate to honor him and/or amuse yourself and others. A private family service will be held on Saturday, by invitation.